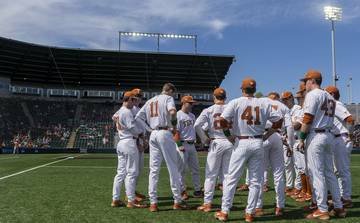 With the baseball season well past its halfway mark, the Texas Longhorns renew conference play by traveling to Waco to face the Baylor Bears. And face themselves as well. That’s because this Texas baseball team has frequently met the enemy and it has closely resembled the same one it sees in the mirror. Pure and simple, these Longhorns often have trouble getting out of their own way. Like on Tuesday night. In short, the Longhorns are stuck in neutral. Neither taking gigantic steps forward nor playing out the string. That’s what makes this team so confounding. 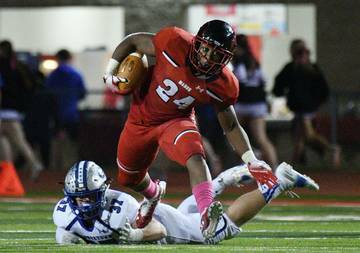 They’re ranked 12th in the nation, for Pete’s sake, but can’t sustain any momentum. 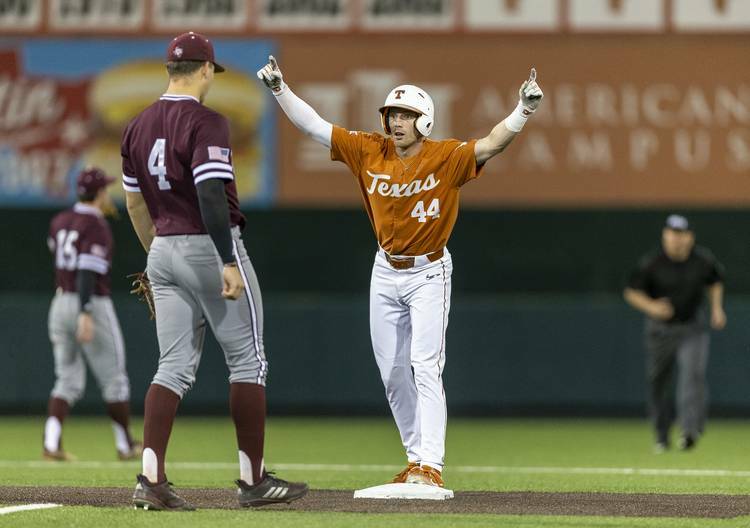 The latest loss stung even worse, however, because Texas fell 9-6 to its blood rival, Texas A&M, on an electric night when the school’s 20-piece pep band was on hand as part of a sold-out record crowd of 7,952 at UFCU Disch-Falk Field. 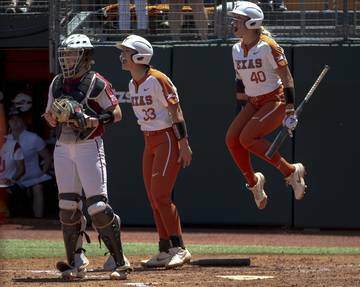 The Longhorns clearly lost to a better team as the ninth-ranked Aggies, who lead the SEC West before going into Baton Rouge to test LSU this weekend, touched all the bases. 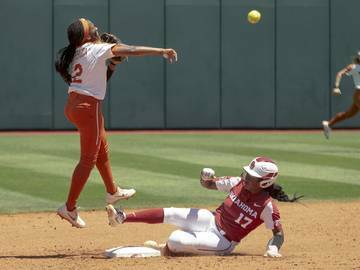 They outhit the Longhorns, out-pitched them and out-fielded them although the latter was hardly a challenge, given Texas’ constant defensive shortcomings. Not only did the defeat further stain what is fast becoming a very pedestrian 20-12 record, but it could create some doubts about just how good Texas is. And can be. 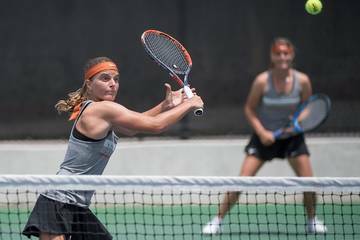 Is Texas the formidable team that swept No. 2-ranked LSU and beat powerhouse Texas Tech two out of three in its Big 12 opener? Or is Texas the club that has gone 9-9 since then, is now an ordinary 5-4 in mid-week games and dropped two of three at TCU when it blew leads in the eighth and ninth innings and legitimately could have swept the series? Beats me. Beats Pierce, too. Do such emotional crumbles linger? Maybe too tough. It will show up in a large way in strength of schedule, come RPI evaluation time. But Texas has to win enough to make it a consideration of its behalf. 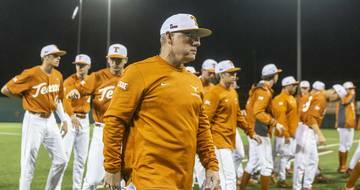 The fan base should know before long because the Longhorns face Big 12 co-leaders Baylor and Oklahoma State — both on the road — in two of their next three league series. Both of those teams are 5-1. Texas is 3-3 in league play and, starting Friday, catches a Bears team that is leading the league in team batting and team fielding and ranks second behind Oklahoma in pitching. That said, Baylor’s played two of the worst teams in the Big 12, sweeping West Virginia and taking two of three from Kansas. But this is a Texas team still looking for its place as well. 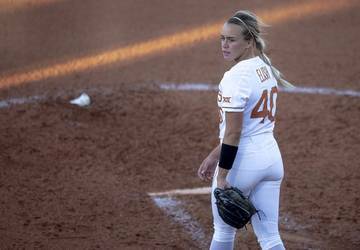 In many respects, Texas has faced an uphill battle this entire season, one complicated by the season-ending injuries to two of Pierce’s best hitters and crucial cogs in the lineup with All-America shortstop candidate David Hamilton and top catcher D.J. Petrinsky. This isn’t a team that will overwhelm you with talent. Its youthful pitching can be exceptional but too often excessively wild with walks and hit batters. They lead the league in strikeouts but also walks and wild pitches. The hitting is lacking with a .250 team batting average and no one hitting better than Eric Kennedy’s .286 average. There’s not a ton of pop with Zach Zubia struggling with a .235 average and only three home runs and 18 RBI. It’s imperative that Texas get leadoff batters on and manufacture runs in any way possible. And don’t even bring up defense. At times, you’d think the infielders are taking frying pans, not gloves, to their positions. Even that might be an improvement. For sure, It’s a flawed team whose best quality is its mental fortitude. There’s zero quit in this bunch, but some zero starts on occasion. 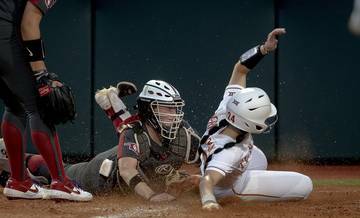 Tuesday was just such an occasion when the Aggies blasted their way to a 7-1 lead in the sixth behind 11 of their 14 hits. 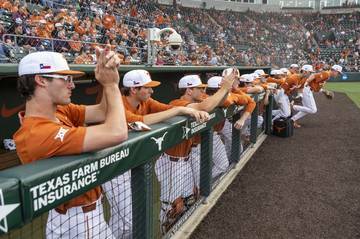 And Texas threatened to come back, as it has in three walk-off victories this season. Senior catcher Michael McCann slammed a three-run homer — only the second of his career — to cut the deficit to two, but Aggie relievers closed the door. But they too often create holes too big to escape. A&M’s a much better team at this point with deep starting pitching and a resurgent offense behind Braden Shewmake and newcomer Jonathan Ducoff, and the Aggies should be excited about the future. But Texas isn’t great at one single thing, which means it has to be very good at a lot of things.